of creative superiority, heard in 'The Hustle Is On', 'Strollin' With Bone', 'I Get So Weary' and 'Here In The Dark'. In 1955 he began recording for Atlantic, who issued two singles, 'Papa Ain't Salty' and 'Play On Little Girl', part of a sequence of sessions that included one cut in Chicago with Junior Wells on harmonica. 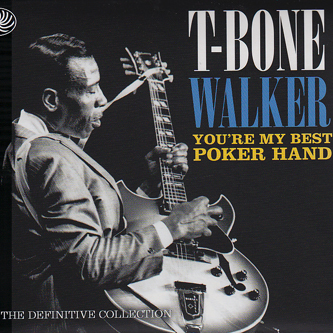 These tracks, including remakes of 'Mean Old World' and 'Stormy Monday', form a fitting climax to a set that encapsulates the sound and expertise of T-Bone Walker, a master of the blues."